The Classics Cup will bring plenty of sideways action to the Adelaide Hills Rally. 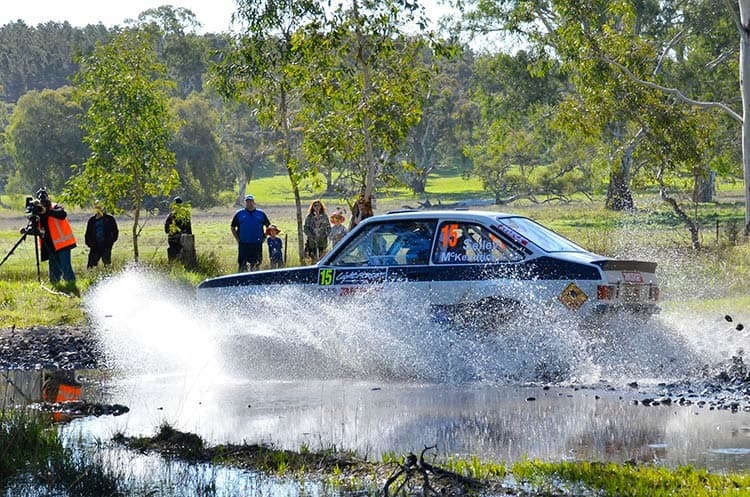 The Classic Cup is shaping up to be a crowd favourite at round four of the CAMS Australian Rally Championship (ARC), the BOTT Adelaide Hills Rally, on the 21-23 September. Organisers, Ultimate Motorsport Events, have introduced the Classic Cup to cater to the growing appetite for classic rallying in South Australia and hope to also draw some competition from interstate. The field will feature the some of the best rally cars from yesteryear including the Mazda RX7 of Classic Adelaide winner Michael Busby and the Datsun 180B of excitement machine Jack Monkhouse, that he took to victory in the Alpine Rally. Other entrants to date include Craig Haysman and Julie Boorman in the 1979 Triumph TR7 V8, Michael and Casey Mohr in their ’81 Datsun STANZA SSS, Bruce Field and Lyndon Wilson in the 1985 Alfa Romeo GTV6 3.0 replica. Always a favourite, Ford Escorts will be represented with Bruce Paix and Matthew Woods in the ’76 edition and Matthew Selley and Hamish McKendrick in the ’79 Mk2 Warrior. The Ultimate Motorsport Events Classic Cup will run alongside competitors in the ARC, completing the full event, covering 872 kilometres, including 231 competitive kilometres. Classic Cup competitors will also get two passes at Friday night’s Super Special Stage, tackling the new 1.7-kilometre rally cross track at The Bend Motorsport Park in side-by-side match races. The event will finish on a high on the renowned Mawsons Road Special Stage on Sunday afternoon. Entries for the Ultimate Motorsport Events Classic Cup are open until 12 September.